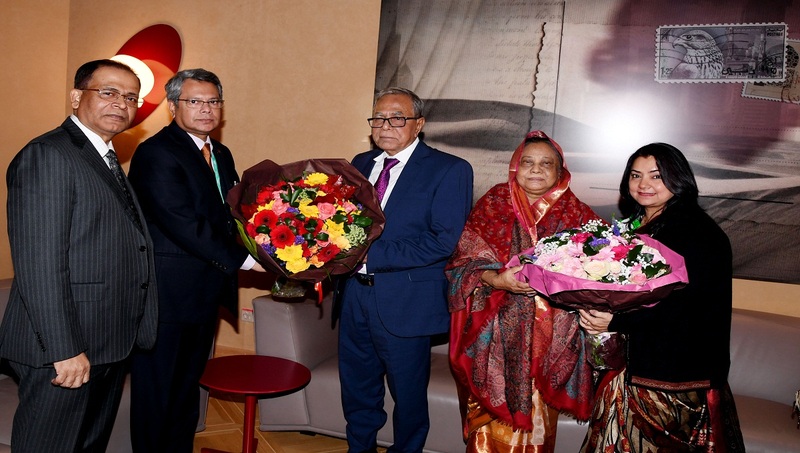 Dhaka, Oct 23 : President Abdul Hamid reached Geneva of Switzerland on Monday night to attend Global Leaders Investment Summit and 20th Annual Session of the Homeland and Global Security Forum. An Emirates flight carrying the President and his entourage members landed at Geneva International Airport at 11:45 pm (Bangladesh time). Ambassador M Shameem Ahsan welcomed him at the airport. The President left Dhaka for Geneva by an Emirates Airlines flight (EK 585) at 1:40 am Monday. The President will deliver speech both the Summit and Forum. President Hamid is expected to return home on 27 October.